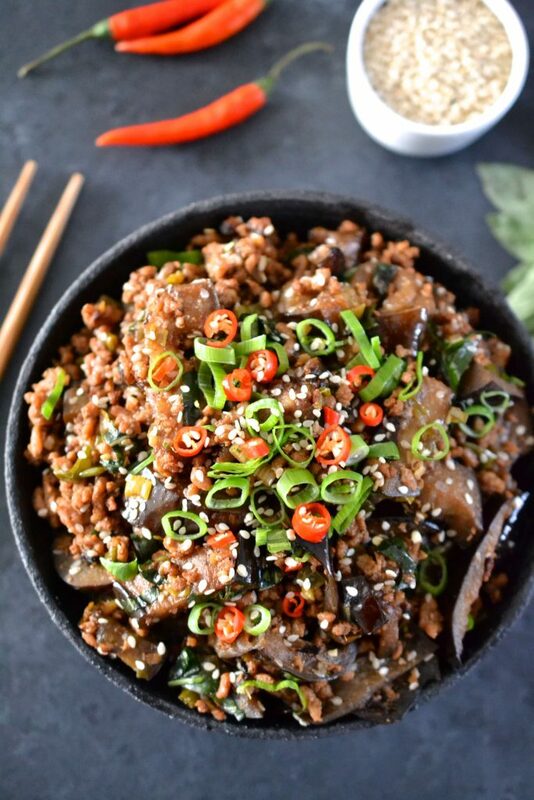 I don’t know what it is about the combination of tender eggplant and ground pork but oh my goodness gracious this is a delicious dish. 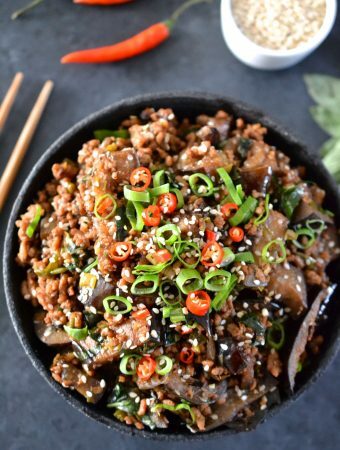 The sauce is slightly sticky and the eggplant absorbs so much of the flavour….this is truly so much more then your average stir fry. I love stir fry, but one of my biggest frustrations is when the sauce slips off all of the veggies and meat and pools at the bottom of the plate. 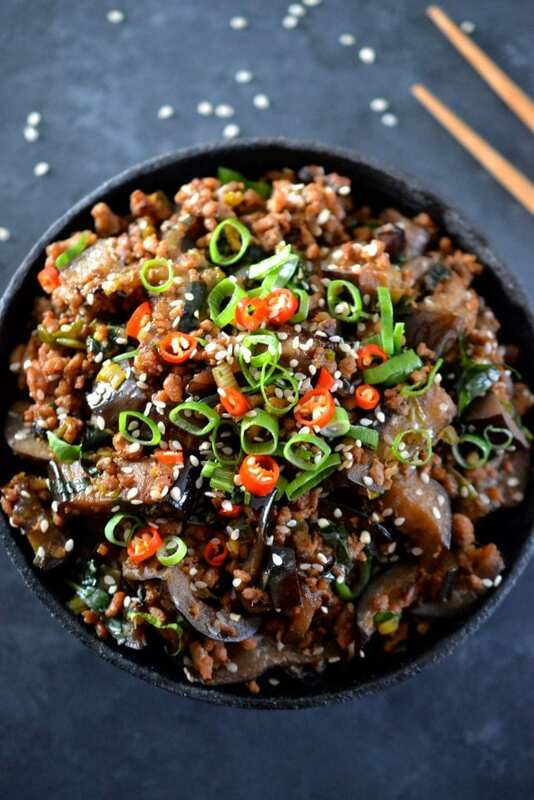 Between the ground pork and the eggplant, all of the delicious sauce gets absorbed into the dish which means that every bite is saucy and so flavourful. 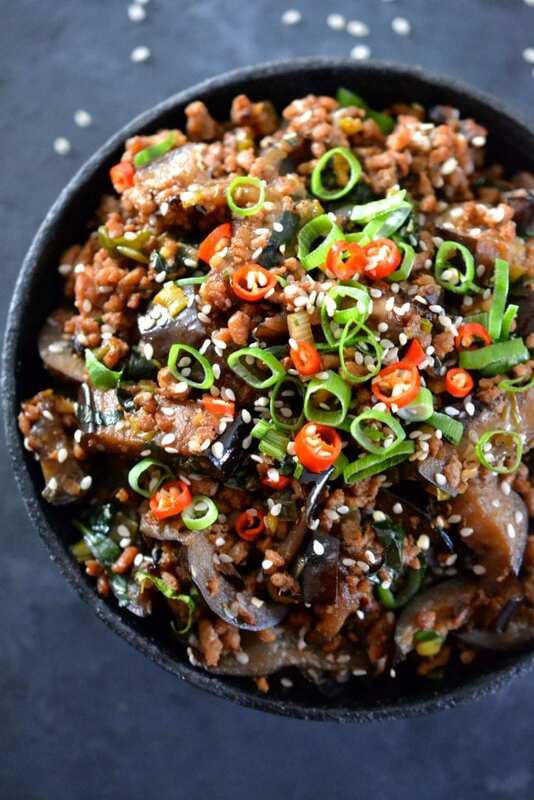 If you wanted to be a bit more authentic you could use chinese eggplant, but I wasn’t able to find any so I kept things simple with regular eggplant. 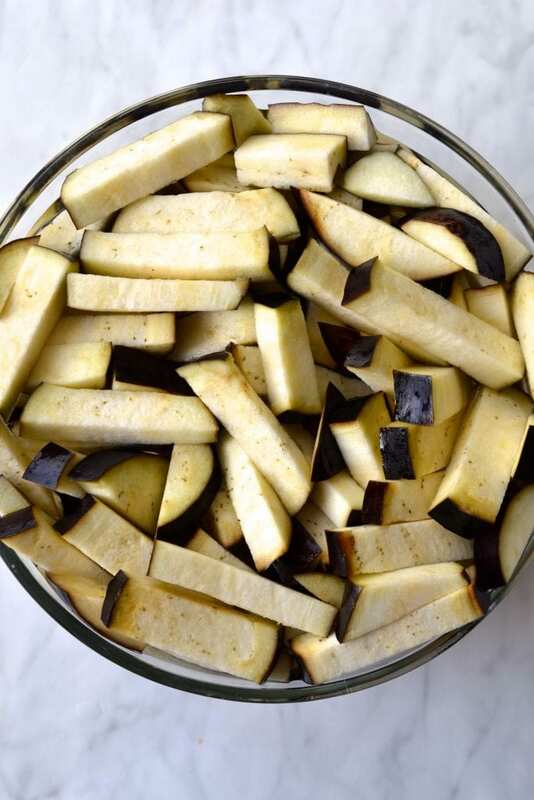 I recommend soaking the sliced eggplant in water for 10 minutes before cooking it. I find that this reduces the amount of oil the eggplant absorbs when cooking. 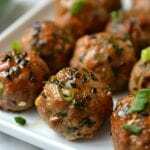 Although I used ground pork for this recipe (I find it has the most flavour), you could swap it for ground chicken, turkey or beef. 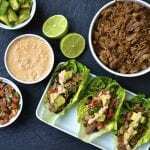 To make this recipe Whole30 I used soaked dates which worked well and added a nice sweetness to the sauce, but if you want to get a slightly stickier consistency in the sauce (and aren’t doing a Whole30) I recommend using honey. 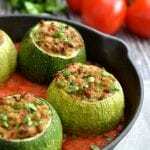 Leftovers will last for 3 to 4 days in the fridge and are just as good cold as they are warm. 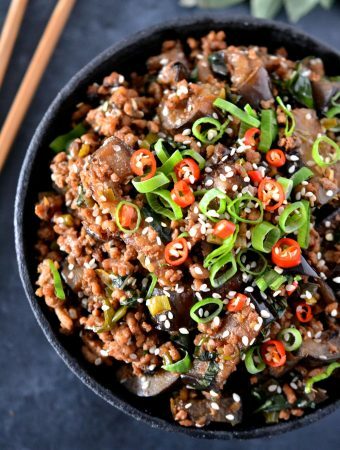 I find that the flavour seems to only improve as the pork and eggplant absorb even more of the sauce. 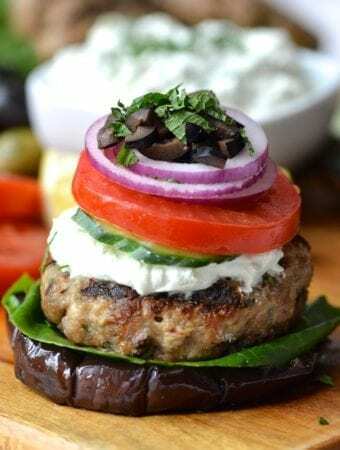 Cut the ends off of the eggplant and then cut the eggplant into 1/2 inch thick slices. Cut each slice into long thin strips. 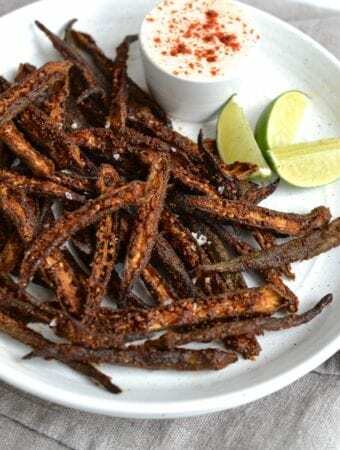 Place all of the eggplant in a large bowl, sprinkle with 1/2 tsp salt and cover in water, you may need to place a plate on top of the eggplant to ensure that they are fully submerged. Leave the eggplant to soak for 10 minutes. 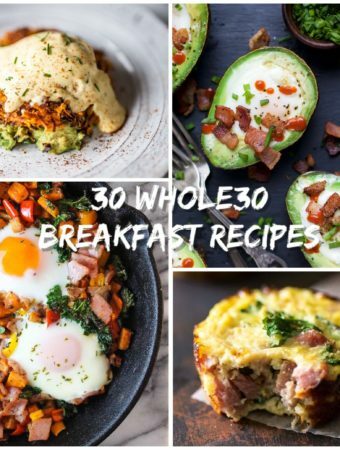 In a high speed blender or nutribullet combine the dates or honey, chilli, coconut aminos, chicken stock and vinegar and blend until completely smooth. After 10 minutes of soaking, allow the eggplant to drain completely. 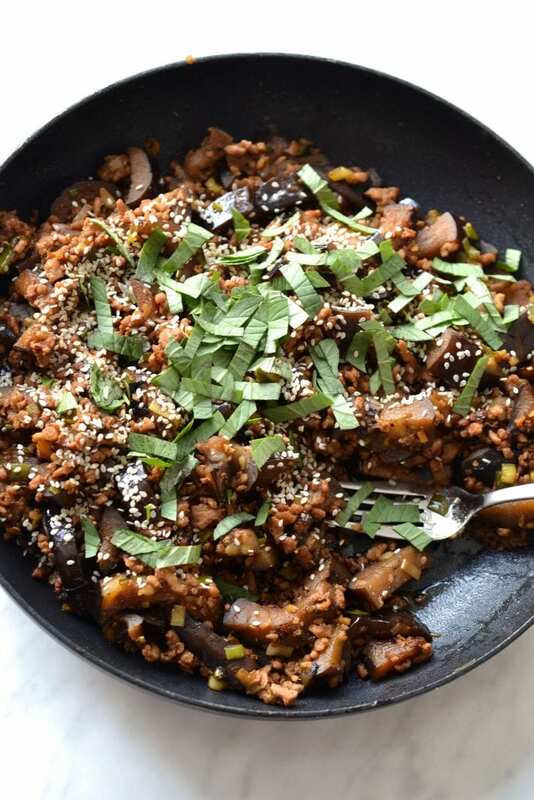 In a large skillet heat 1 tbsp of sesame oil and then working in batches cook the eggplant until golden in colour and slightly shrivelled. 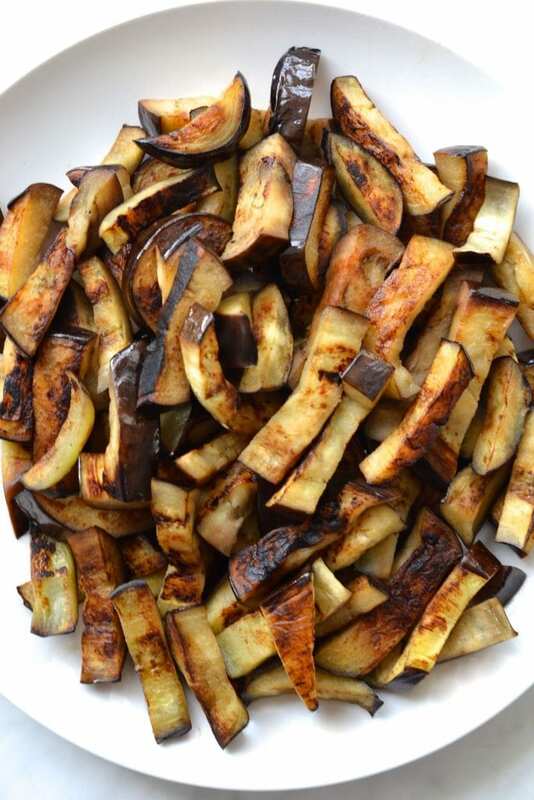 As you finish cooking each batch of eggplant, transfer to a plate. 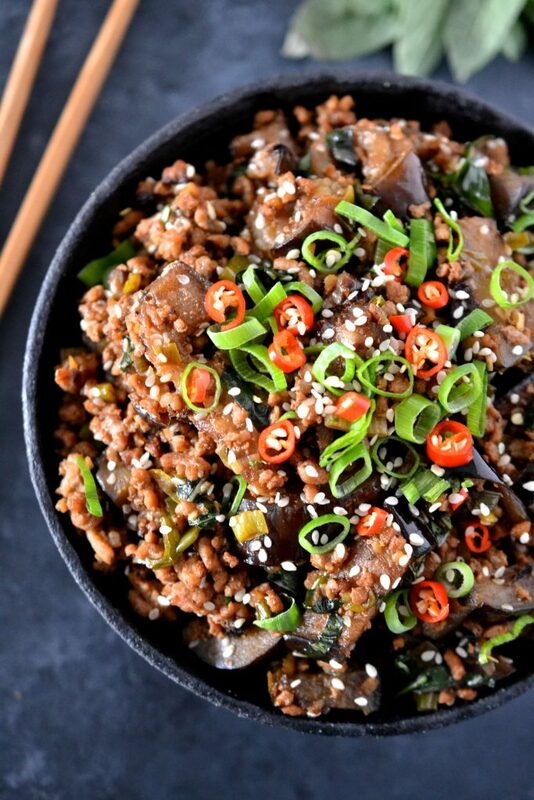 Once all of the eggplant is done cooking, add 1 1/2 tbsp of sesame oil to the pan along with the crushed garlic. 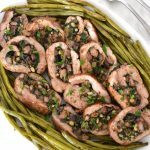 Add in the pork and as it cooks, use a wooden spoon to break up the meat into a crumbly texture. 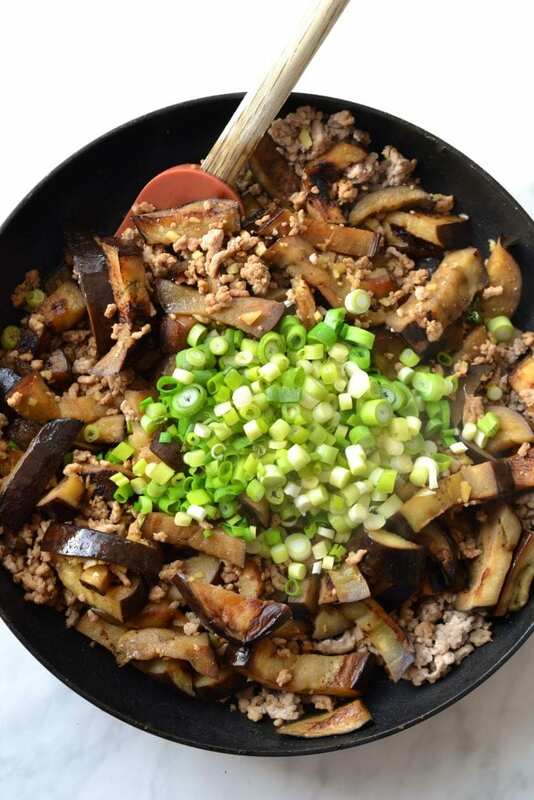 Once the pork begins to turn white in colour, add in the chopped ginger, cooked eggplant and blended sauce. Stir to ensure everything is well mixed and then leave to cook on medium high heat for approx 10 minutes until the sauce begins to thicken. 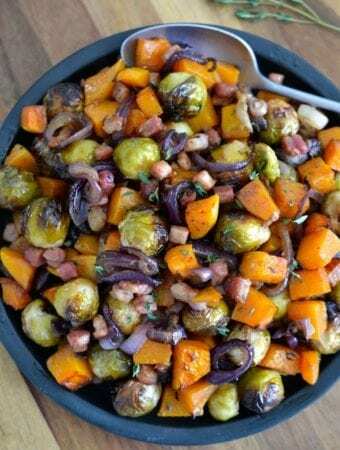 * Stir in the chopped scallions and cook for another few minutes until they begin to soften. 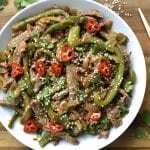 Sprinkle the dish with sesame seeds and stir through the Thai basil before serving.